This volume arises from the series of workshops organized by the Institute as an introduction to aspects of German law. The emphasis on the areas of contract, sales, and commercial law reflects the interests of the practitioner as well as the student. 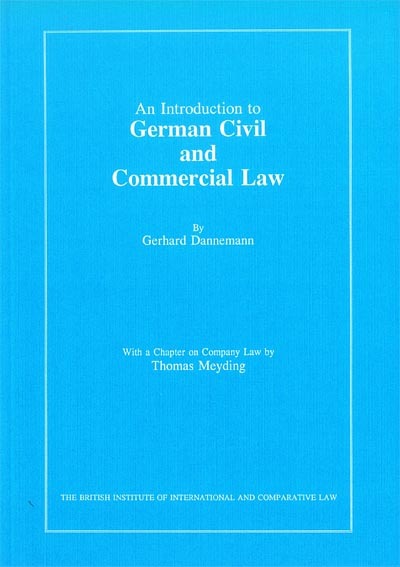 This book takes account of the common lawyer's standpoint and emphasizes some differences of approach between the German and English systems which may be particular traps for the unwary. The full price for this book when not purchased via the website is: Members £24 Non-Members £40. "Introduction to German Civil and Commercial Law"